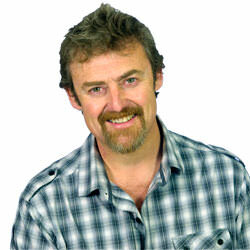 Mike Browne from PhotographyCourses.Biz shows you how to use apertures creatively. Hello again and welcome to part three of my Beginners Guides. In Part One we explored what shutters and apertures are and Part Two explained how to combine them with your light meter to make a manual exposure. This week we’re going to explore some fun stuff - using apertures creatively. Before we get going there’s something you need to know. A wide aperture is made by selecting a low ‘f’ number and a small aperture is made by selecting a high ‘f’ number. I have a little bit of doggerel that helps me remember. The bigger the number the smaller the hole – the smaller the hole the greater the depth. Now don’t get stuck on this, just bear it in mind and maybe come back to it as you read on. All will be made clear. Apertures control what’s called 'Depth of Field'. This is how much front to back sharpness you have in a picture. Maybe you want only a little Depth of Field to emphasize the subject and make it clear to the viewer where you want them to look. This is called a ‘shallow’ depth of field like in this PR pic of me. To create a shallow depth of field like this you use a wide aperture – that’s a low ‘f’ number like f4. Professional lenses have wider apertures than consumer lenses and can go down to f2.8 or even less. If you’ve seen Beginners Guide 2 about how to make a manual exposure, you’ll know how to set a shutter speed that works with your chosen ‘wide’ aperture. If you haven’t – now might be a good time …! Using a shallow depth of field is common in portraiture when you want to make the background soft and fuzzy, but you can use it in other ways too, particularly if you’re shooting in close. Think of your shallow depth of field as a band of sharpness you can move in and out of your picture by adjusting your point of focus. In other words - where you choose to focus. 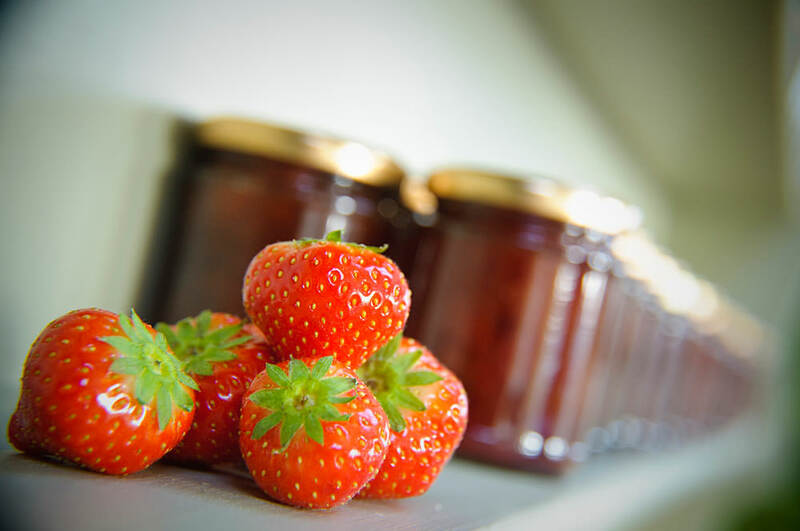 In this first image I used a wide f/3 aperture and focused on the Strawberries. As you can see, the strawberries are sharp and everything beyond them is soft. 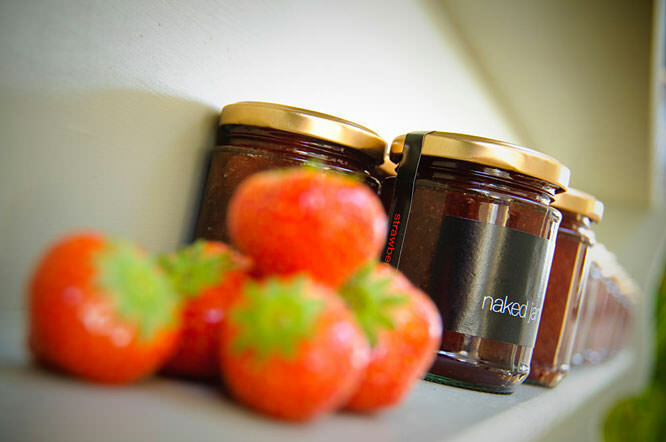 And in this one I swapped focus from the strawberries to the ‘Naked Jam’ label on the jar. By shifting where I focused I’ve moved this band of sharpness a bit further into the picture and made you notice the label first. I haven’t changed the aperture; I’ve only changed the place where I’m focusing. 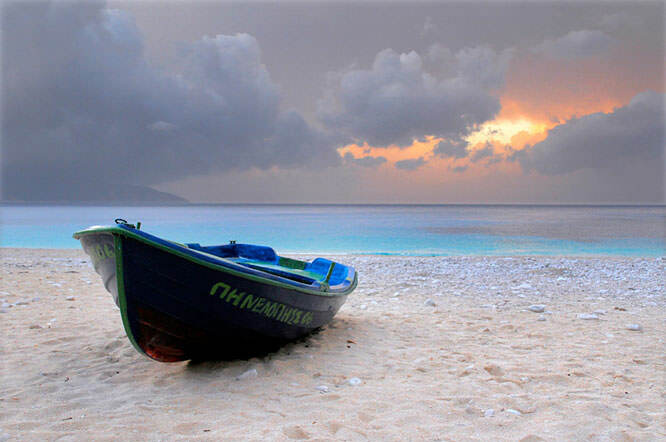 As practice I suggest you set up a shot where you’re in close looking along a line of something. Go raid the cupboard and find some jars of your own maybe. Line up your shot and manually rotate the focus ring on the lens as you look through the viewfinder and you can see this band of sharpness ripple up and down the line. With a suitably small aperture (in this case f/16) depth of field expands on either side of where you focus. In this image I focused just a tiny bit behind the strawberries. 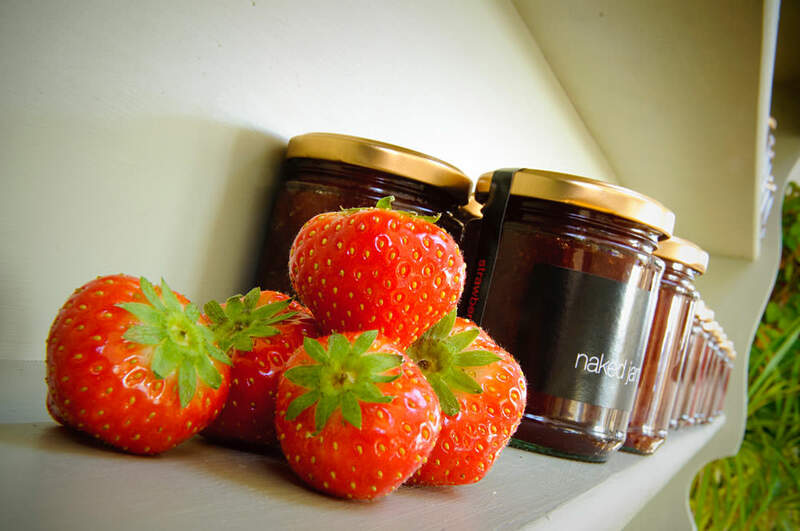 When you look back at all three ‘Naked Jam’ images you can see what a difference you can make by changing aperture and point of focus. Depth of Field truly is a wonderfully creative thing! 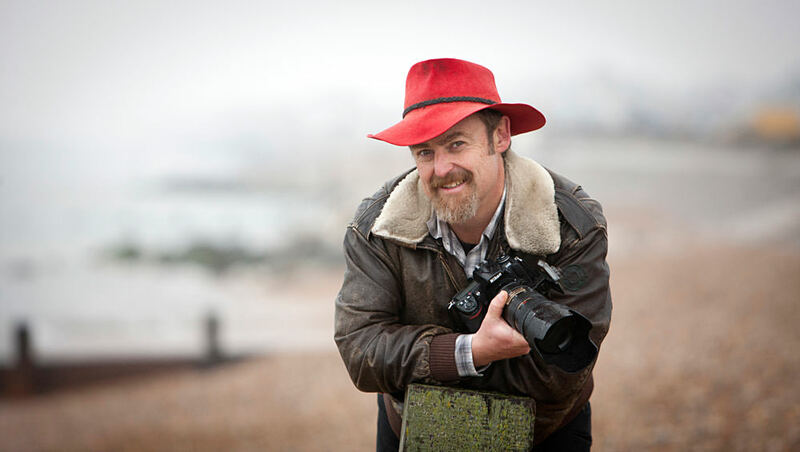 So when you want to emphasise the subject by putting them against a blurry background you use a wide aperture (low ‘f’ number) as in the pic of me in my cool red hat! And when you want to increase depth of field maybe for a landscape you use a small aperture (high ‘f’ number). And the next question is - ‘where do I focus for maximum depth of field’? With landscapes like this a general rule of thumb is to focus about ten or fifteen feet in front of the lens and you’ll get maximum sharpness. If you’re signed up as a member on our site there’s a ‘Where to Focus’ video in the ‘getting sharp images’ section. Finally there’s one more piece of the depth of field jigsaw you need to know about. All long lenses have a much shallower depth of field than short ones. As you increase your zoom depth of field shrinks and as you decrease it depth of field expands. So for lots of depth of field you must use a shorter lens - and for minimum depth of field use a longer one. This naturally leads to shorter lenses (10 – 20mm) for landscapes and long ones (100mm +) for portraits. By the way, there’s loads of useful tips and techniques to help you understand use of lenses in the ‘Camera lenses’ section on our site. Well that’s all from me for the next couple of weeks. Go and practice using your apertures with your own lenses. Try the exercise I mentioned earlier because it’s in practicing you’ll experience what I’m talking about and it’ll make sense. No one ever managed to read this stuff and remember it three weeks later. Next time I’ll be showing you how to use your shutter speeds creatively to freeze and blur movement. Don’t forget I’m offering you a deal on our photography training DVD Digital Photography Exposed – the movie. Use discount code epzguides and we’ll give you £5 off the usual price. Happy shooting until next time.